Google Search Console is free online platform containing various set of tools & resources,which helps website / blog & android mobile app owners to track search performance of their web property. It gives List of search terms for which your site appeared in Google search engine result pages. Average Position of your site in search result pages for those search terms. It shows number of backlinks to your site. You can submit URL of new content of your site for fast crawling & indexing bu google robots. It highlights Indexing & Crawling Error. Blocking URL & content which you do not wish to appear in search result. Easy submission of XML site map. 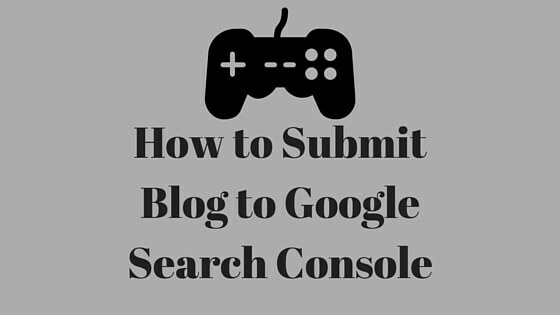 Log into Google Search Console using google account id. Enter URL of the web property (Website, Blog or Android App), you want to submit to webmaster. The next window will ask you to choose from two methods of adding property. Alternate Method - There are 4 methods of site verification which includes HTML Tag, Domain Name Provider, Google Analytics Method & Google tag Manager method. For purpose our study we will use HTML Tag method for Blogger Blog. After selecting HTML Tag method, it will give Google Site Verification Meta Tag. Paste the code after <head> section & before first body section. Now go back to search console & Click verify button. Now you will receive message for successful verification. Congratulations.. Now you can start using Google Search Console for SEO of your web property. Keyword Research is systematic process of identifying actual search queries,which people enter in various search engine while looking for information.This process includes collecting both search volume & its relative competitiveness. It is very important for today's digital marketer, who runs any kind of online business to attract relevant visitors to his website or blog.so attracting such relevant traffic is not that easy in today's fast changing technological world. Online Marketer uses various techniques like Search Engine Optimization (SEO) & Pay Per Click (PPC) campaigns attract visitors to his web property.both of these strategy will be effective if it is based on thorough Keyword Research on the topic. these strategies involves money so it must give higher conversions on the web asset & good return on investment. 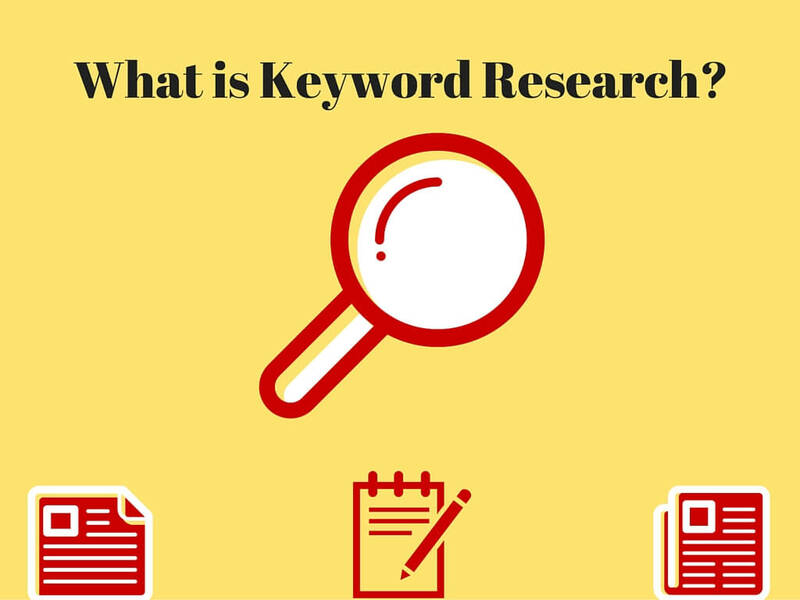 Now we can take one example for specific keyword to understand the methodology of research. To start keyword research for any topic you need seed word, for our study we will doing research for keyword" Digital Marketing"
Google Trend :It is very good free tool for getting the idea about trend for keyword, topic & search terms. Login into Google Trend through your Gmail id. Enter "Keyword" into search box. Select as per your choice targeted location, time period, different categories & different google properties. You can choose World wide for whole data or else you can select any specific country. Time Period -You can fetch data from Year 2004 to present, past hour, past four hour, past day, past one day, past seven days,past 30 days, past 90 days, past 12 months & any customized date data. Categories include - Art's & Entertainment, Autos & Vehicle, Beauty &fitness, Books & Literature,Business & Industrial,Computer & Electronics, Finance,Food & drink,games, Health & Many more. You can also search on the basis of web, image, Google shopping, News & You Tube. over selected period of time & forecast for the future period. It shows you from which region maximum search queries are generated.Numbers represent search volume relative to the highest point on the map which is always 100. It also shows top releted search queries. Google Suggestion from Google SERP: When you type & submit any query in google search engine, it gives suggestion of list of queries releted to the submitted query.It is goldmine of for new keywords releted to your topic. Quora: It is a question-and-answer website where questions are asked, answered, edited and organized by its community of users. It is another good source finding good keywords. Enter your Keyword in search box. You will see list of questions asked related to your topic. all above three techniques will give you truckload of keyword ideas, but wont give you any idea about keywords search volume & its competitiveness. Buzz Sumo: Some may ague that BuzzsSumo is not keyword Research Tool, but we can utilize it to research which topic are getting viral on social media platform. Go to Buzz Sumo Site & Enter your keyword into search box. It will Top 10 web content & website which shared most on Facebook, LinkedIn, twitter,Pinterest &Google Plus. If you want access more than 10 results then you need to buy premium plan. basically it will give idea about which type of content releted to your keyword shared on social media platform. 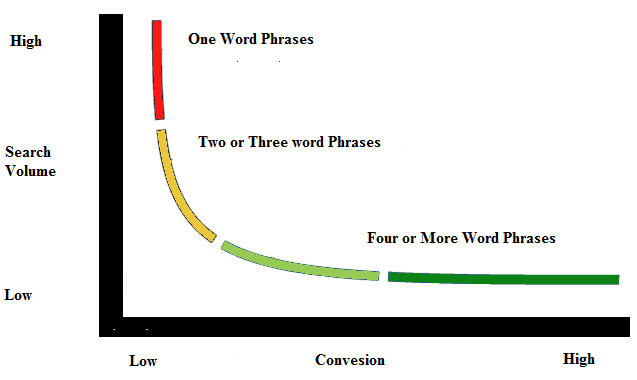 you can very well study those content to extract valuable keywords. Select Keyword Planner from Tool menu. Enter each keyword collected from above methods. Keyword Planner will give you Average Monthly Searches, Competition (High - Medium - Low) & suggested bid For each keyword. SemRush: This tool is similar to Google keyword planner but has many unique features incorporated. SemRush is not free tool. It gives 14 day free trial with limited access. for full data upgrade to paid premium plan. If your volume of keyword research is low then there is trick to use semrush for free for life time. The trick is to create new account with new email id once your 14 day trial is over. You can select specific country google search engine.They cover around 30 country specific google search engine. SemRush gives you Phrase Match report ,monthly search volume ,cost per click, competition on the scale of 0 to 1( 0 means low & 1 means high), it also gives names of top 100 website for that keyword. One of the unique feature of SemRush is Keyword Difficulty Tool.This tool allows users to estimate how difficult it would be to seize competitors' positions in organic search with the particular keyword (1-100%). The metric is based on competition between domains that are ranking for the requested keywords in Google's top 100 organic search results. I have not covered rest of the the keyword research tools purposely as they are paid & to access meaningful data you need to buy premium plan. They only give you list of keyword without any information about search volume & competition. still you can collect keywords through their free search can enter in Google Adwords Keyword Planner to find the rest of the data. 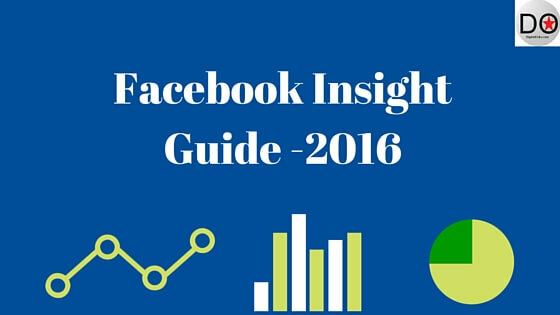 After Creating a very nice Facebook page you must be wondering how to see the performance report of the page. So to see the performance of page you need to visit Facebook Insight section. but wait there is catch, as per Facebook policies "Insight" will only appear once your page reaches 30 "Likes"
Facebook Insight is basically "Analytics Platform" which provides very exhaustive data releted to various page metrics. we will study each metrics in detail today. Pages to watch - It compares the Performance of your page with the pages similar to your topic.but remember you need to add this competing pages prior. Likes: This section will show you graphs for below mentioned metrics. Net Likes -It shows net likes by subtracting unlike from likes. It also give breakup of "Organic Likes" & "Paid Likes"
Where your page like happened - This graph shows where exactly all these" page like" happened eg. API, on Page, Search, Advert or other. Note: You can modify all these graph by selecting default time period 1 Week, 1 Month & 1 Quarter or by putting start & end date. Post Reach - This graph will show to how many people post was served. It also gives both Organic & Paid reach data. Hide , Report as Spam & Unlikes - These action will decrease your chances to reach more people. Total Reach - The number of people who were served any activity from your Page, including your posts, posts to your Page by other people, Page like adverts, mentions and check- ins. It gives both Organic & Paid reach data. Total Views- This will show you graph releted to total views & section wise.Section includes About,Timeline,Home,Photos, Videos & Others. Total People who viewed your page -It gives break up by section, age, gender, country ,city & devices. Top Sources - The graph shows from which referral sites these people are coming for viewing your pages. Action on Page: It shows type of actions taken by viewer of your page. Actions include Get direction clicks, phone number clicks, website clicks & page call to action clicks. It gives break up for each Action with parameters like age, gender, country ,city & devices. Posts: This section reveals very interesting data like when your fans are online, engagement pattern through out the day for recent 1 week. It shows success of each of post on the basis of reach & engagement. It also shows engagement data recent posts of pages you follow. Video: This section shows number of video views for 3 seconds & 10 Seconds. People: It shows data releted to number of fans, people reached, People engaged on the basis of Age , Gender, Country, City & language. Local: One of the special feature of Facebook Insight, which gives data releted viewers in the area of 50 meter & 150 meter radius of your business.It gives very interesting details like when maximum number people in the chosen radius are online & their age group. This data is available for recent 1 week, 1 Month & 1 Quarter. Finally you can export Facebook insight data in xls or csv file format very easily. Click on the Export button in "Overview" section. Select the file format, data type , date range & click on export data button. Remember you can only export data of 500 posts at time, for more data you can repeat above procedure multiple time. Today we will be discussing about what are different categories of Facebook pages & how to set up the page on Facebook. Remember that for creating Facebook page you need to have personal account. Log into your personal account. Select create option page from drop down menu of your account. Now you need to select any one option from different categories Facebook Pages. Note: You need to select option carefully as each has unique characteristics & benefits. Local Business Or Place: This option ideally suited if you have Local business or service catering to local needs or covering limited geographical area.if your business caters customers regionally, nationally or globally then you should not select this option. Company ,Organization or Institution: If your Company ,Organization or Institution does business or caters to customers spread in geographically wide distances then you should select this option. Brand or Product: This option most suitable to those brand or products which are sold through more than one re-seller or website. Artist, Band or Public Figure:This option for the celebrities, sports person & politician who want to market them self as brand. This page is also called as fan page. Cause or Community:If you want promote a social or global cause & want people to join or support the noble movement, then you should choose this option. Selecting appropriate & relevant Facebook page type is very important to step towards success in Facebook Marketing. For the purpose of our study we are selecting Local Business or Place. Press Get Started Button . Set up window will open. In About section you need to add relevant description, categories & website information , so that your Facebook business page can be found in search. Care must be taken while selecting page address as once its set, it can be only changed once. Page address should be unique enough to be easy to recall or remember. Facebook also asks whether your business & its address is real or not. Its also want to confirm whether you are authorized representative of given business. Now press Save Info button. In Profile Picture section you can load Logo of your business / services from your desktop or from web. After uploading ,save the photo. Now Press the Next button. You can add your page as Favourites for easy access at any time. In Preferred Page Audience Section you can select the kind of audience you would like to connect on the basis of Location ,Gender, Age & Interest. This is how your page will look once you finished your set up. 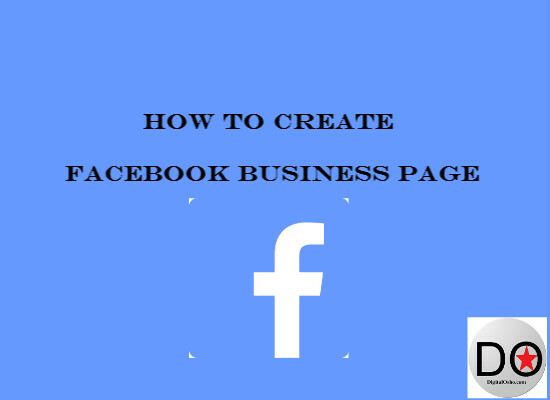 This is how we created simple Facebook Business Page. There are other option you can add once you create page, which we will cover in next post. In our previous post we learnt what is Facebook Marketing? . today we will be discussing about various Facebook ads campaign objectives & how to create advert for these objective. before selecting advertising objective you must be clear what you want to achieve through this campaign. Boosting your Posts: When your goal is to increase the engagement of post on your Facebook business page.Then you should select this objective. Engagement includes Likes, Share, comments on your post.Ads are shown to those audience who are likely to "Comment", "Like" & "Share" your Post. Promoting your Business Page: Promoting your Page might be a good option if you want to engage with your audience or reach new customers. Facebook ads created through this objective are targeted to those audiences which are going "like" your page. once they like your page your posts stars appearing their news feed. Sending people to your website: When you you goal is to send people to your website or to certain pages of website like product page, home page,contact page,sign up page,special offer page then you should select this objective. These ads will set up custom URLs & will show to those audiences who are likely to click your ads. Increasing conversions on your website: Conversion means any valuable action you want your website visitor to take on your website. depending upon type of business/services conversion may be purchase of you product, sign up, inquiry , visit to specific pages. Get People install of your app: When you goal is increase installation of you App then you must select this objective. You can create an ad with a link to the app store from where people can install your app. If you want to measure the number of app installs, you can integrate your app with the Facebook SDK. Reaching people near your business: When your goal is to Increase in-store sales , Increase foot fall in your store, building awareness of your business in the local community then you must select this objective. Facebook ads created through this objective utilizes radius targeting to show you ads to those audiences who are near to business. e.g Local Chinese food restaurant want show ads to those who are residing in radius of 5 kilometer. Raising attendance at your event: When you want more people to attend your "event", you must select this objective.The event ad will get more people to see and respond to your event. People will get reminders and updates about your event, and you'll be able to see how many people responded interested and attending. Getting people to claim your offer: when you want promote coupons,discounts, special offer,special deals, you must choose this objective. You can target these ads to specific audiences & also limit how many people can claim offer. Getting video views: When you want to tell your business/ brand stories with interesting videos then you can utilize these video embedded ads. Collecting leads for your business:When you want generate leads for your business, then these ads will help you to collect lead information from people who are interested in your business. Campaign Objective: As we already discussed in detail about the various objectives, it means what you want accomplish with proposed ads. Ad Set: It decide how your ads will run on Facebook platform. In the ad set you decide your audiences on the basis of targeting options like Age, Gender, Location & more. You also decide budget of the campaign & scheduling of the Ads. Ads: At this level we develop ad creatives utilizing appropriate Images, Videos, Call to Action buttons. Then select create advert from drop down menu. Select Page whose post you want to boost. Note- For our study purpose ,i selected one of my own page- Bodybuilder Tips. Now drop down menu will appear. Select specific post which you want to boost. If you do not wish to to boost from previously posted post. You can create fresh post by clicking on plus button. You can give name to your campaign. Now press Set Audience & Budget button. lets move to next level Advert Set - Audience ,Budget.& Schedule. Target audience on the basis of location. Select the appropriate option from the drop down menu. Similarly now target the audience on the basis of Age, Gender & Language. You can narrow down or expand your audience through detailed targeting & connections. Note: As you putting targeting options. Facebook also shows estimated reach at right hand side of the window. Lets move to campaign budget. Select daily budget or lifetime budget. You can start campaign immediately from today or put schedule for it. You can Optimize Advert delivery on the various objectives as shown in the snapshot. In the Automatic mode Facebook sets bid to maximize engagements. where as in the manual bidding you will set bid as per you judgement. you need to change bid in manual mode as per the results achieved. In the When you charged option ,The selected option determines when you pay for your advert. For many optimization goals, you'll pay each time your advert is served (known as an impression). Some optimization goals also let you choose between impressions and actions (such as link clicks or post engagements). You can run advert 24 hrs /day or customized schedule as per when you most of the customers are online on the Facebook. (Scheduling is only available for Life time budgets). Now set a name that describes the audience, scheduling or adverts inside it. Now Press Choose Advert Creative button. In Advert creative window you will be able to see the preview of how your boosted post will look in Desktop news feed, Mobile news feed & Desktop right column. It will arrange to show preview how this advert will look in Facebook app, but you need to go to your mobile app. Now you can Review whole order for the advert by pressing "Review Order Button"
Once you are done with review of the order then you can proceed with placing of order. If you are creating Facebook ad for the first time you need to fill up billing information which includes billing address, credit card details etc. before your campaign goes live, Facebook reviews your advert to check with its advertising guidelines. generally it reviews your advert within 24 hours. Once campaign goes live you can see the performance by visiting "Manage Advert" section from drop down menu. 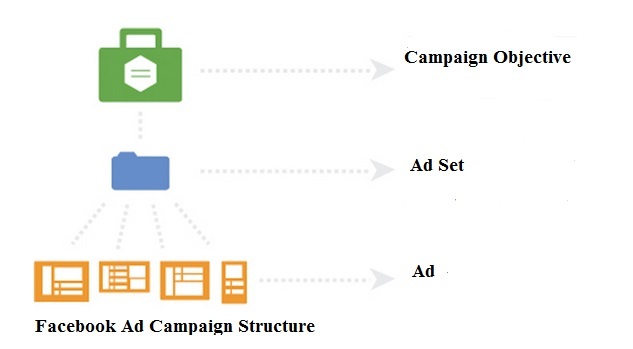 So friends.. this was detailed discussion about various Facebook campaign objective & step by step guide of creating advert for boosting your post. I hope you will like it.